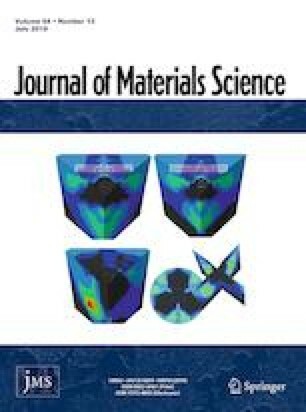 In this study, a novel surface modification approach for preparation of nanoscale titanium dioxide using aluminate coupling agent was developed. By optimizing the adding content of aluminate coupling agent and the reaction temperature, modified titanium dioxide (A-TiO2) particles with a minimum Z-average size of 32 nm and a narrow PDI of 0.214 were obtained. Further tests revealed that A-TiO2 was super-hydrophobic with water contact angle of 151.39°. Moreover, the dispersion behaviors and morphologies of TiO2 and A-TiO2 particles in different solvents were further investigated. The results indicated that A-TiO2 could be well dispersed in hot liquid caprolactam, making it suitable for preparing full-dull polyamide-6 polymers. This project was financially supported by the National Key Research Program of China (Grant No. 2016YFB0302702), the Scientific Research Foundation of Hunan Provincial Education Department (Grant No. 17A126), and the Open Foundation of National and Local Joint Engineering Laboratory for New Petro-chemical Materials and Fine Utilization of Resources (Grant No. KF201804).